The first settlers of Belize City are believed to have been Mayan Indians, who had set up a fishing camp on nearby Moho Caye. Excavation done at Moho Caye revealed bones and other artifacts. There were also indications of an abundance of marine life. After the area was abandoned by the Mayas, in the late 1600’s, English pirates began to settle where Belize City is now located. They came in the rainy season settling at the mouth of the Belize River with intentions of harvesting logwood. By the late 17th century Belize City had its origin as a logging camp. The buccanneers set up their camps on the sea front while the African slaves were located on the south side of the Haulover Creek. In 1798 when there was a Spanish attack on St George’s Caye, the settlement was moved. 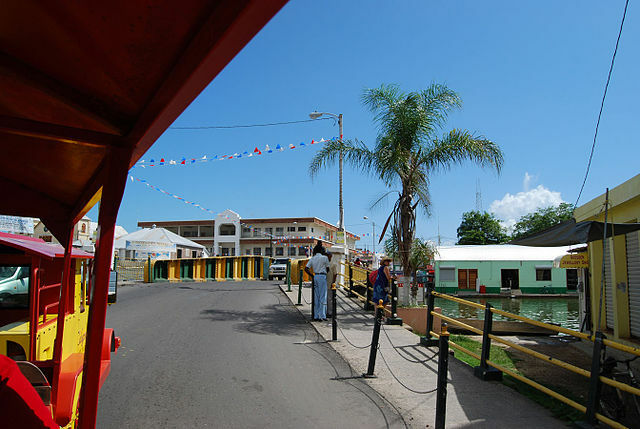 Belize City then became the main export center for logwood and mahogany. They harvested logwood in the interior and floated the wood down the river to vessels. By the eighteenth century, the British had established what was then called Belize Town, as their Bay Settlement. Belize City has a very unfortunate history, as the city was devastated by fires in 1804,1806 and 1856 as well as by epidemics of yellow fever, smallpox and cholera. In 1892, Belize City became the capital of British Honduras. This city fell victim to several hurricanes and tidal waves. On September 10,1931 during the celebration of the Battle of St. George’s Caye, Belize was struck by a hurricane flooding the city and killing about ten percent of the population. In 1961, Belize City was devastated by Hurricane Hattie, with its 160mph winds taking hundreds of lives and leaving many homeless. The damage was estimated at US$50 million. As a result of Hurricane Hattie the government decided to relocate the capital to Belmopan.However most residents remained in Belize City. Even though Belize City is no longer the capital it is still the country’s social, commercial and historical center. Despite the many disasters that Belize City has encountered, it still has a number of impressive landmarks. The Fort George Lighthouse, located at the entrance to the Belize Harbor, was once a fort and was separated from the rest of the city by a creek. Adjacent to the Lighthouse is Baron Bliss Memorial, built by funds left to the people of Belize by a wealthy British Baron, Henry Edward Ernest Victor Bliss. Baron Bliss came to Belize and fell in love with the country, but was too sick to go ashore. He remained on his yacht, Sea King, fishing in the harbor, but eventually died. Baron Bliss impressed with the treatment he received from Belizeans during his final days, left a trust fund for the sole benefit of Belizeans. Also built from the fund was the Bliss Institute which houses a library, auditorium and art gallery.